The Mermaid Parade celebrates the sand, the sea, the salt air and the beginning of summer, as well as the history and mythology of Coney Island, Coney Island pride, and artistic self-expression. 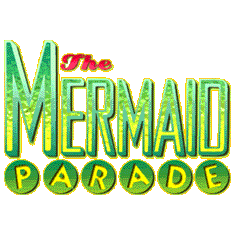 The Parade is characterized by participants dressed in hand-made costumes as Mermaids, Neptunes, various sea creatures, the occasional wandering lighthouse, Coney Island post card or amusement ride, as well as antique cars, marching bands, drill teams, and the odd yacht pulled on flatbed. Each year, a different celebrity King Neptune and Queen Mermaid rule over the proceedings, riding in the Parade and assisting in the opening of the Ocean for the summer swimming season by marching down the Beach from the Boardwalk, cutting through Ribbons representing the seasons, and tossing fruit into the Atlantic to appease the Sea Gods. In the past, David Byrne, Lou Reed, Laurie Anderson, Queen Latifah, Ron Kuby, Curtis Sliwa, Moby, David Johansen and Harvey Keitel have graced our shores, presiding over the assembled masses. The Parade is followed by the Mermaid Parade Ball, a post-parade gathering where costumed parade participants can get together with each other and parade spectators to listen to live music, enjoy cocktails and watch burlesque and sideshow acts performed by some of New York City’s hottest performers. This year’s King Neptune, Brooklyn native Adam Richman from the Travel Channel’s Man V. Food and Queen Mermaid, Cat Greenleaf from the New York Emmy Award winning television show, Talk Stoop with Cat Greenleaf! Coney Island USA is pleased to present the 9th Annual Mermaid Parade Ball, the official after-party of the Mermaid Parade, held at The New York Aquarium (Oceanic Deck and Aqua Theater), Surf Ave. & West 8th Street, 7:00pm-11:30pm. 21 and over. Click here for further info and to buy tickets online.